4:00 pm: AgustaWestland case: Delhi's Patiala House Court orders Christian Michel’s lawyers to maintain a distance while meeting him. Court restricts the time limit of lawyers to meet Michel to 15 minutes every morning and evening. 12:01 pm: Madhya Pradesh Minister, PC Sharma: A proposal will be sent to the CM, since the cases were political, we used to protest against things that were wrong, there are cases on me, my fellows in the cabinet, now there is rule of law, these cases should definitely be removed. 11:36 pm: A woman who was given triple talaq through a message says,"He left me at my parents’ place,went back to US,divorced me through a message.Can’t reach my kids. Met Joint Secretary of External Affairs Ministry, they are aware of my case,I request EAM Swaraj to help me." 10:42 pm: BS Hooda, Former Haryana CM on Haryana Govt gives nod to investigate him and Robert Vadra in a land deal case: This is on the basis of a private complaint lodged on behest of Govt, there is nothing in it. Attempt to defame and play politics. 7:37 am: Low-intensity blast at a bus stand in Jammu earlier today. No casualties or injuries have been reported. 7:05 am: INDvAUS 3rd Test, Day 4: Australia 44/2 at lunch, need 355 more runs to win. 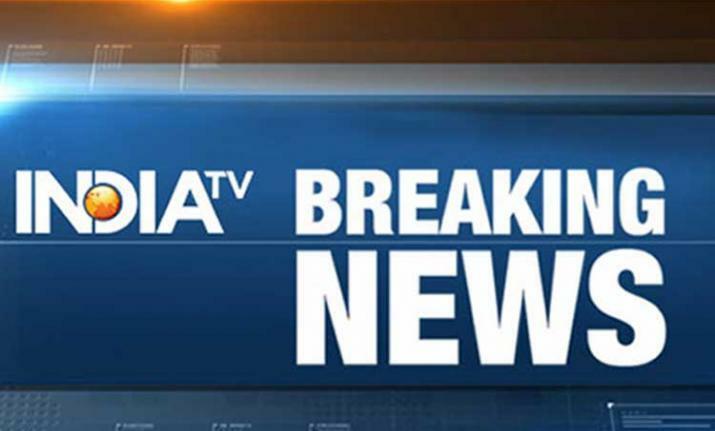 6:54 am: Exchange of fire underway between security forces & terrorists in Rajpora, Pulwama. Search operation was launched after inputs that terrorists were hiding in the area. 6:20 am: 4 killed including 3 Vietnamese tourists and an Egyptian tour guide in the bomb blast near Giza Pyramids in Egypt on Friday, reports AFP. 6:12 am: Exchange of fire underway between security forces & terrorists in Rajpora, Pulwama. Search operation was launched after inputs that terrorists were hiding in the area. More details awaited. 6:00 am: INDvAUS Third test: India declares at 106/8 in second innings, sets 399 runs target for Australia.